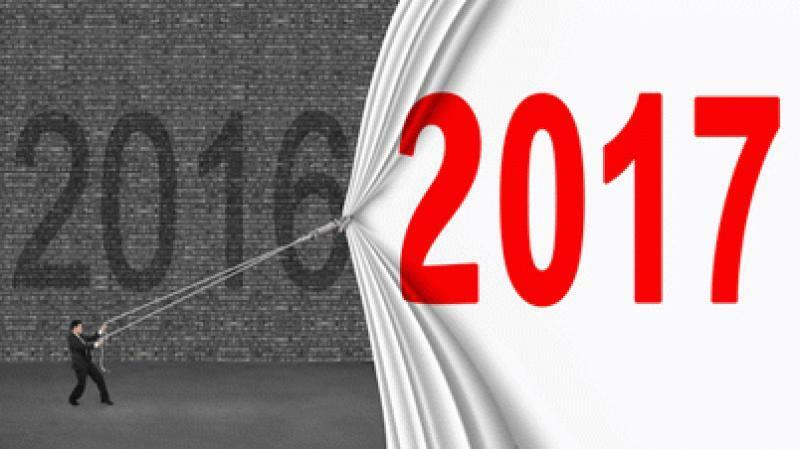 As 2016 winds to a close, it's only natural to reflect on the year's major AV developments and ponder what they'll mean for the coming year and beyond. Here's a look at some of the major stories from 2016 and the questions they inspire as we head into 2017. 1. Will Ultra HD Blu-ray gain steam? Ultra HD Blu-ray arrived on the market in early 2016, with the debut of Samsung's UBD-K8500 player--which was followed a few months later by the Philips BDP7501, the Microsoft Xbox One S gaming console, and the Panasonic DMP-UB900. Last week, OPPO Digital officially launched its UDP-203 universal disc player. Back in October, we discussed how successful the early players and discs were in the story How to Gauge UHD Blu-ray's Success So Far. How many players will we see in 2017? Sony has already announced the UDP-X1000ES universal UHD player, due out in the spring, and I'm certain we'll hear about more new offerings at the International CES in a couple of weeks. One question on many people's minds is, will any of the new players support the Dolby Vision High Dynamic Range format? The first crop of players only supported the mandatory HDR10 format and not the optional Dolby Vision format. Right now, owners of Dolby Vision TVs can only stream DV content through services like VUDU, Amazon, and Netflix; none of the Ultra HD Blu-ray discs that have come to market in 2016 include a DV-friendly version of the film. I'm sort of cheating by asking this question because I actually got the answer while I was in the middle of writing the story. OPPO stated last week that the UDP-203 has the hardware to support Dolby Vision; the player doesn't support DV right now, but the function will be enabled by a future firmware update. Likewise, another major manufacturer will introduce a UHD player that can support Dolby Vision in the first half of 2017. I can't say who it is yet, but you'll have the answer by CES. As for content, we should see DV content appear on Ultra HD Blu-ray discs by the middle of the year (probably right around the time these firmware updates happen). Of course, the big-picture question is whether Ultra HD Blu-ray will attain mass-market appeal the way Blu-ray did, or will it be relegated to the realm of "enthusiast format" while everyone else just streams UHD content to their new UHD TVs. Time will tell. 2. Will we see OLED TVs from manufacturers other than LG? We love us some OLED, and we appreciate and applaud LG's commitment to delivering this high-end videophile display alternative to LCD. LG will remain aggressive on OLED in 2017, but we also know that it's only a matter of time until the technology fades away unless other big names get behind it. Back at IFA 2016, manufacturers like Panasonic, Philips, and Loewe showed off OLED designs, but here in the States it's LG or nothing. Will Sony or Samsung, both of which abandoned OLED display development a few years back, revisit the subject, or will they continue to stick with full-array local-dimming LED/LCD TVs for the immediate future? I'm guessing the latter. As CNET reported back in June, Samsung is exploring QLED as a higher-end display option, which is built on quantum dots. Yes, current Samsung SUHD TVs also use quantum dots, but only to improve color reproduction and brightness within a traditional LCD TV design. They still require a backlight. QLED is a different animal entirely, more akin to OLED in that the use of electroluminescent quantum dots removes the need for a backlight and allows the display to produce a true black, among other potential benefits. CNET suggests this TV technology is still three to five years away, though. 3. Will the major music streaming services embrace uncompressed streaming and/or MQA? TIDAL gets a lot of press here on our site, as it's one of the only music streaming services to offer uncompressed, CD-quality streaming (Deezer Elite is another). Lots of our writers subscribe to TIDAL's higher-priced CD-quality feed, and lots of audiophile manufacturers have integrated TIDAL into their products. Plus, TIDAL is the first major streaming service to consider using MQA to stream even higher-resolution feeds, although it hasn't come to fruition just yet. The problem is, as popular as the service may be amongst our audience, it has not become the strong competitor to Apple Music and Spotify that it aspires to be. An Esquire story back in September put TIDAL's subscriber base at around three million, compared with 17 million for Apple and 30 million for Spotify. The story also reported that TIDAL lost $28 million last year, which doesn't bode well for long-term stability. For uncompressed streaming and/or a format like MQA to really take off, one of the major services needs to embrace it. Will Apple or Spotify ever launch a higher-quality, uncompressed option? TIDAL's lack of success probably isn't swaying anybody to take the risk. Back in June, The Wall Street Journal reported that Apple was in talks to buy TIDAL, but by September Apple said that wasn't going to happen. At this point, many readers are probably asking the fundamental question at the heart of this issue: Do we really need an uncompressed streaming service? Can people really hear the difference? I'm not going down that road in this article, but feel free to argue amongst yourselves. 4. How successful will voice control platforms like Alexa be in the realm of advanced home automation? Alexa was everywhere at the CEDIA Expo back in September. This year, Amazon struck numerous deals to incorporate its voice-command technology into control platforms like Control4, Crestron, and Logitech/Harmony, as well as multi-room music platforms like DTS Play-Fi, Heos, and Sonos. And Amazon reports that millions of Alexa-enabled devices like the Echo and Echo Dot were sold just over the Thanksgiving holiday weekend. Clearly the mass market has embraced voice control. Parks Associates recently reported that 44 percent of U.S. broadband households have used voice control functions on at least one connected platform; the number jumps to 64 percent in the 18-to-24 age group. Plus, Google Home has now arrived on the scene, and I suspect Google will pursue many of those same partnerships to gets its voice assistant into your home. What remains to be seen is just how advanced people are willing to get with the technology. Will they fully embrace it in all its smart-home glory, using voice commands to control lighting, temperature, security, home theater systems, etc? Or will it remain more of a kitschy tabletop device used primarily for Q&A and music playback? I suppose a lot of that will depend on how reliably it performs in the context of a Control4 or Crestron system, and privacy is also an issue. More than one person has expressed to me a concern about adding all those networkable microphones into their home. Every aspect of our lives is becoming tethered to a network, and concerns over security and privacy are certain to take a justifiable position of prominence. 5. How will all of this year's acquisitions affect our industry? There were an unsettlingly high number of major acquisitions in the AV industry this year. In case you missed the announcements in our news section, let's quickly recap: EVA Automation acquired Bowers & Wilkins, Rovi acquired TiVo, LeEco acquired Vizio, Razer acquired THX, Tessera acquired DTS, and Samsung acquired Harman International. Lots of official press releases have tried to reassure us that things won't change too drastically: CEOs will stay onboard, and company visions will be preserved. Samsung has stated that Harman and all its high-end brands--which includes a few names you might recognize, like JBL, Revel, Lexicon, Mark Levinson, and Harman/Kardon--will operate as a standalone company and retain its work force and facilities. But come on, this ain't our first rodeo. We've been down this road before, and we all know that some of our industry's most respected and beloved brands are going to experience a major shakeup in 2017 and beyond. Of course, behind-the-scenes shakeups don't necessarily mean the quality of the product will suffer. It could just mean that brands get streamlined to focus on certain core products or a certain market segment. Let's all try to remain optimistic. • Making Audio Great Again at HomeTheaterReview.com. • The Demographics of AV Enthusiasts Are Changing Faster Than the AV Business at HomeTheaterReview.com.